Leshi expects to use the investment from Tencent, JD and other investors to "re-activate" its smart TV business. Leshi may have found white knights in technology giants, including Tencent and JD.com, who are prepared to invest 3 billion yuan (US$478 million) in its smart TV and online video business, the Shenzhen-listed firm said today. Leshi, or Leshi Internet Information and Technology, is expected to use the investment to "re-activate" its smart TV business. 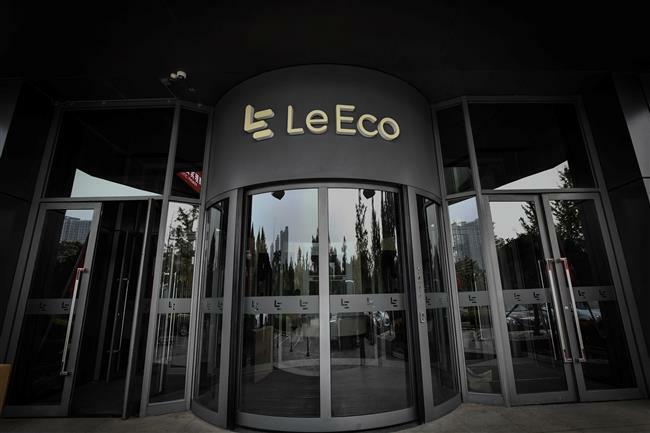 It has been facing "capital shortage and reputation damage" since the end of 2016, as its parent company LeEco became debt-laden because of aggressive business expansion. Tencent and JD.com will each invest 300 million yuan in New Leshi Zhixin, Leshi's smart TV and online video business. Their injection gives each of them a 2.55 percent stake in the business. TCL Corp and Suning.com are also expected to invest equal amount in the business. The investment is based on Leshi Zhixin's valuation of 9 billion yuan, Leshi said in a statement to the Shenzhen Stock Exchange today. The 3 billion yuan investment will dilute Leshi's holding of 40.1 percent in New Leshi Zhixin to 33.46 percent, but it will remain the biggest shareholder. Shares in Leshi surged 10 percent to close at 5.12 yuan, compared with a 0.11 percent drop in China's Growth Enterprise Market today. Tencent's investment will allow the firm to distribute more video content through Leshi's TV while Suning can diversify its business from a electronics chain retailer. TCL, which has invested heavily in LCD panel business, can secure Leshi as a potential buyer for the panels, industry insiders said. Jia Yueting, Leshi's founder and former chairman, expanded LeEco’s business from online video to smartphones and even electric cars. But LeEco ran into a cash crunch in 2016 and 2017 after expanding too fast. Jia left China to continue developing the electric car business in the United States. Sun Hongbin, Sunac China's chairman, took Jia's position after Sunac invested a total of 17.1 billion yuan in Leshi and LeEco. Sunac China has since written off 97 percent of its investment in Leshi, amounting to a total loss of 16.6 billion yuan. The write-off was akin to "the pain of chopping off a head," Sun said last month, before resigning as chairman after only eight months in office. But Sun still has a “positive view about the development prospects of large-screen operations and content in the long run," referring to the value of Leshi's smart TV business.